This beautiful setting with an original and exclusive design is suitable for gemstones between half carat and two carats. 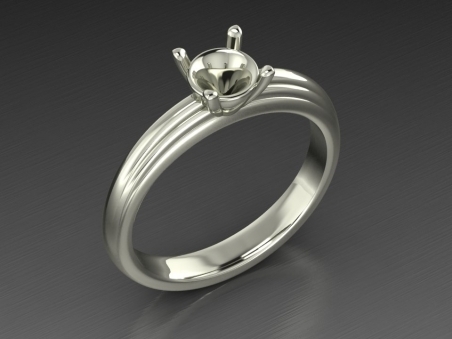 It is perfect for an engagement ring. The stem section comfortably wraps around the finger. The superior part is enhanced by elegant wavy lines around the fine gemstone, fixed by four drop-shaped prongs.